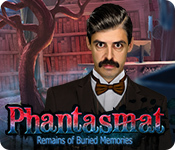 Phantasmat: Remains of Buried Memories is rated 3.2 out of 5 by 5. Rated 4 out of 5 by Tflo from Enjoyed it It's funny to me that previous posters think they know what Phantasmat is supposed to be about. It's about whatever the developer chooses! That said, I found the game to be entertaining from start to finish. So what if the creature isn't what you envisioned? The journey to stop it is what the game is all about. I found it just challenging enough to be entertaining. I always like the graphics that this series provides. The story line was common but again, so what? 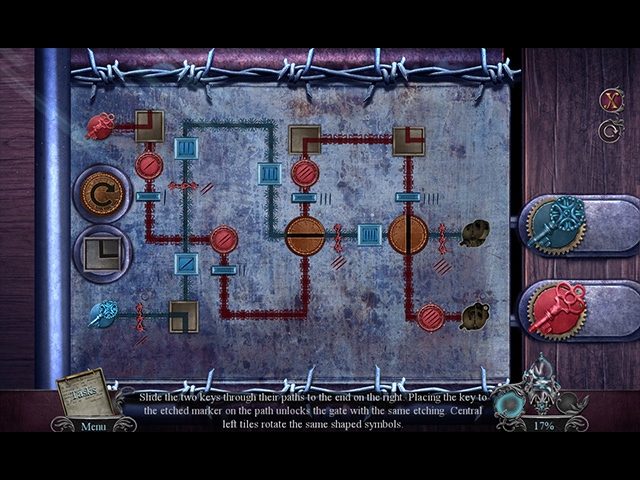 Some of the puzzles were a bit confusing as they didn't give any "info." That would be my only negative. Overall, I enjoyed it! Rated 2 out of 5 by roaming from Oh, no! Not again! Three consecutive times, one right after another, in the exact same room doing exactly the same things! Wow, what an inventive way to add to the length of a game. 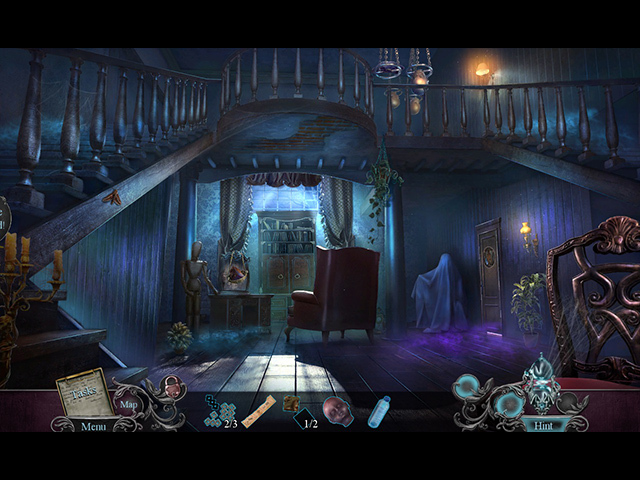 The monsters in this game are only another iteration of the ones from Insidious Dreams, the ninth of the Phantasmat series. In this game they have red eyes. How very imaginative. This is yet another game featuring a dark, decaying house/hotel with an evil past that's infested with hideous ghostly monsters lying in wait to devour their living victims. Rated 2 out of 5 by biscuitsmama from SAME DECRIPIT OLD HOUSE AND CARBON COPY MONSTER THAT I HAVE SEEN WAY TOO MANY TIMES Phantasmat Remains of Buried Memories is the 13th game in the series and it is nothing more than a gasp at keeping a series that should have been nothing but a “Buried Memory” alive. Honestly, when will BFG or developers realize when enough is enough. The game begins in an odd manner and I wasn’t sure if I had done something wrong but at least the beginning, strange as it was, is probably the best part of the game. I am not a fan of the Phantasmat series and Remains of Buried Memories reinforces why I dislike it. That being said, the best parts of the game are the HOS and the Puzzles. The HOS are excellent and creative in their presentation. My only complaint with the HOS is that some of the items are very small and blend into the background making them almost invisible. Although we have seen many of the puzzles before it is a good thing since the instructions are terrible. 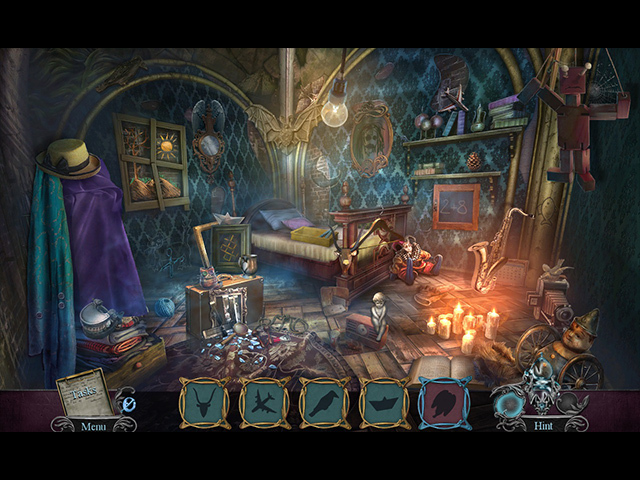 Of course with a Phantasmat game I expect dark and dull graphics so the graphics in Remains of Buried Memories live up to my expectations and that is not a good thing because I hate dusty and decrepit old houses or hotels. I don’t think it was too long ago that the monster in a game was a tree-like sort of thing so here we go again. In the end there is nothing about this Phantasmat that makes it stand out from all of the previous games in the series. The exception being that the original Phantasmat was incredible and one I still play today because, IMHO, that was a game that was hard to beat. If you love seeing tree monsters, cobwebs, spiders, and an old house in shambles then you will most likely love this game. For me the game is a definite pass and another that is going on my list of non-purchased games. Thankfully, we have had a few wonderful games to start off 2019 and those will be the ones I play. As always, please try the demo because Phantasmat Remains of Buried Memories might be perfect for you. Happy gaming!